The Hasselblad HC 120mm f/4 II Macro Lens is one of the top medium format lenses that has the resolving power to be paired with systems offering over 100MP sensors. Special note: this lens is part of Hasselblad's H mount system and is not compatible with the X mount system. If you are looking for X mount gear, please see our collection of Hasselblad X mount cameras and lenses. This 120mm lens features macro optics with a 1:1 magnification ratio and a relatively close focusing distance of 1.28'. In 35mm terms, this lens "reads" more like an approximately 80mm lens (depending on the exact sensor size you're using – this lens is suitable for 56x41.5mm, 53.4x40mm, 44x33mm, or 37×49mm sensors), making it a great choice for not just macro subjects but also for portraiture. This lens offers a center leaf shutter, allowing you to sync strobe units with your H system up to 1/800th of a second. The Hasselblad HC 120mm f/4 II Macro Lens provides the highest quality for closeup photography as well as portraits and nature subjects. • This lens is the original Hasselblad HC 120mm f/4 II Macro and not the one demarcated by an orange dot. It supports a maximum sync speed of 1/800th of a second and not 1/2000th of a second. 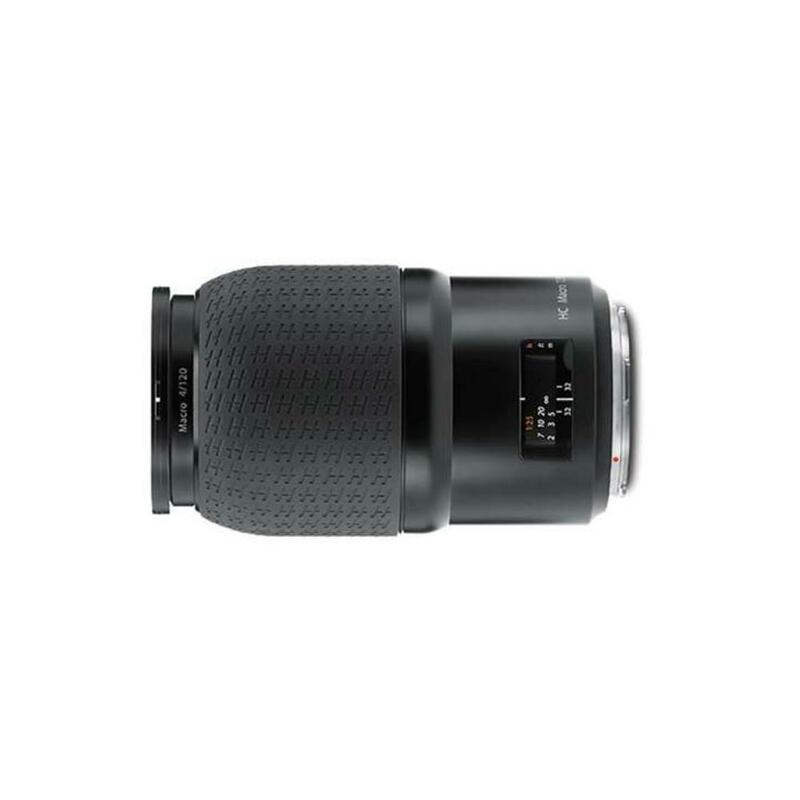 • This lens is part of Hasselblad's H mount system and is not compatible with the X mount system. If you are looking for X mount gear, please see our collection of Hasselblad X mount cameras and lenses. • When paired with the optional H1.7X teleconveter, AF functionality is disabled.